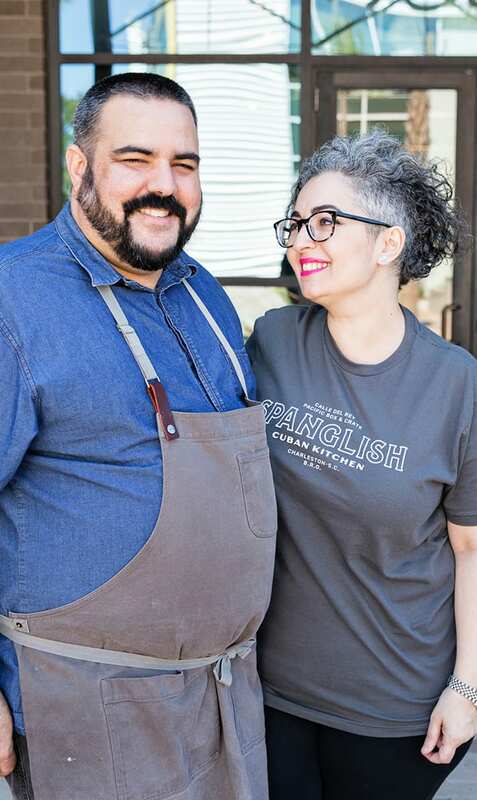 Our names are Tomas and Lynda Prado, proud owners of Spanglish Cuban Kitchen. Tomas is a classically trained, Cuban-American Chef who always aspired to open a fast-casual, Cuban American cuisine concept in Charleston, South Carolina in honor of his heritage and love for his family. In his culinary career, Tomas has worked alongside some of the world’s most renowned Chefs including Daniel Boulud, Jose Andres and most recently has worked as the chef at Andrew Carmellini’s wildly popular rooftop restaurant and lounge “Westlight” in Brooklyn, New York. His wife, Lynda, of over 15+ years, comes with an extensive background in hospitality, human resources and she also has a serious sweet tooth. Lynda will be bringing most of the sweet offerings at Spanglish, such as Flan, Key Lime Cheesecake, and her mother's famous rice pudding.